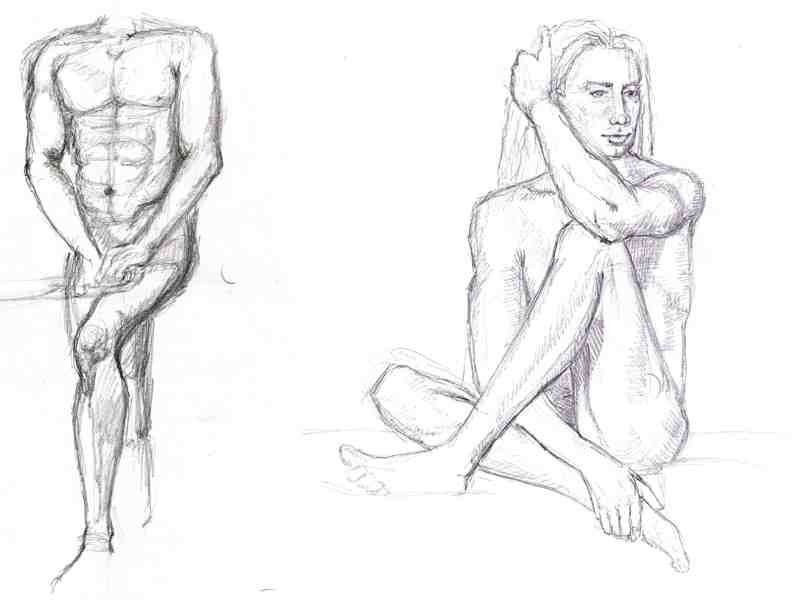 I went to another life drawing session at Epique Lounge last Sunday and did a good amount of sketches. Paris had some great poses that started to give me some ideas for various drawing and painting projects I can start in the near future. Being surrounded by artists really makes me want to get into painting as well and produce a lot more artwork, which is great. 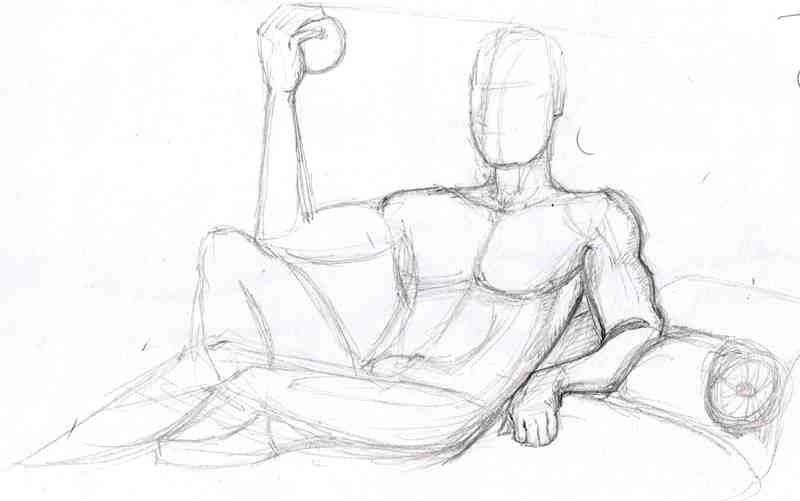 For some of the longer poses, I was able to really study the correct way of drawing various positions, like the one above and look for joints, like the knees, the elbows, the shoulder, etc. 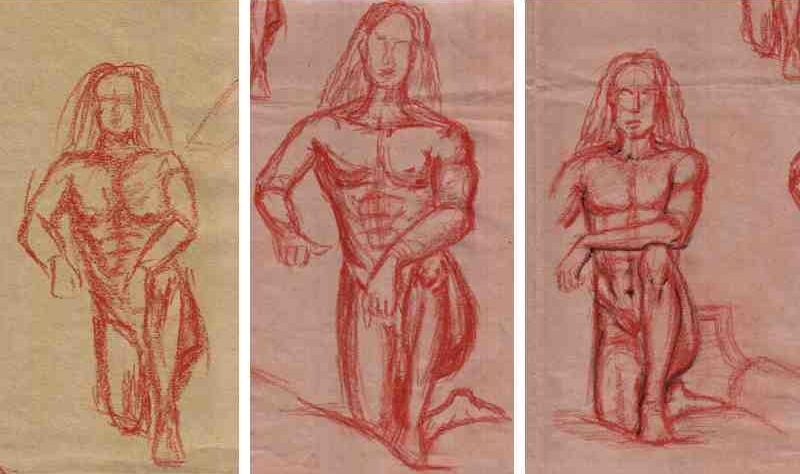 One of the sketchers gave me darker paper and conté to practice with and I can see the evolution of my rendering of the same pose as I started to get a little more comfortable with it. I find it's better to work in large scale when using conté.